Move over Rebellion! A motherload of rare early edition comics have been found among thousands being catalogued at the University of Dundee library. While working on the archive American PhD student Hailey Austin has found publications that she describes as historically significant. It’s a wide ranging collection, they have original scripts from DC Thomson’s Commando digest, comics donated by Grant Morrison, early copies of New Gods by jack Kirby, some Lois Lane and others. One curiosity is a collection of Punch from 1895 donated by the late Stephanie Wolfe Murray – the pioneering female publisher who founded Canongate. The Victorian satire paper gave us the modern meaning of the word cartoon when it ridiculed plans for a wall frieze at the Houses of Parliament. The Punch sketches tackled cholera and poor social conditions in London. Apart from compiling an online catalogue for the collection, Ms Austin also led the design of a comic telling the story of the collection. 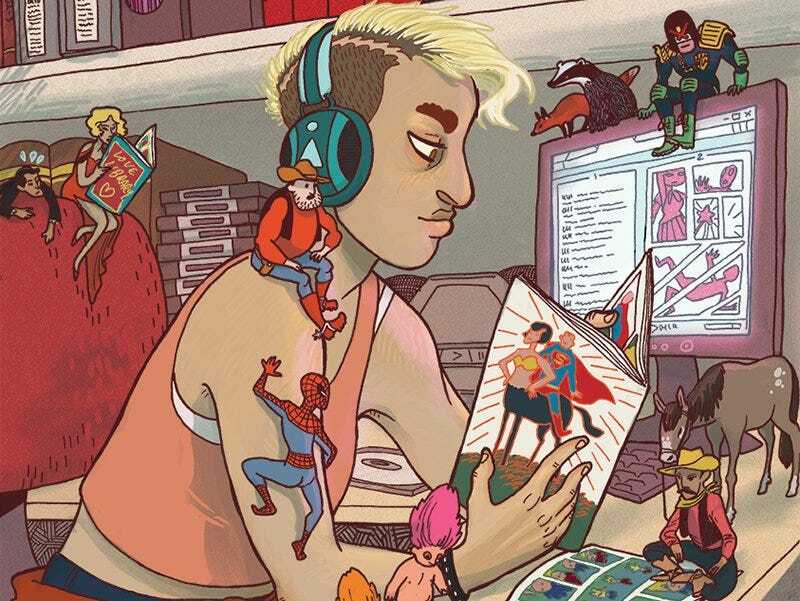 She said: “Naturally being a comics PhD student, my first thought was to create a free comic that would highlight exactly what the university’s Archives and Museum Services have to offer. “There are 19 contributors, including students and even someone who donated into the collection. Her comic will be launched on Thursday alongside Superhuman Futures by Professor Chris Murray. This is a science fiction superhero comic that examines the superhuman as a metaphor for scientific advancement. Created for the Humanities module Human Futures, it demonstrates the innovative link between research, creative work and teaching that is being developed at the University of Dundee.